Facellia F2 Coupe. Volvo powered. 4 Speed, O/D. 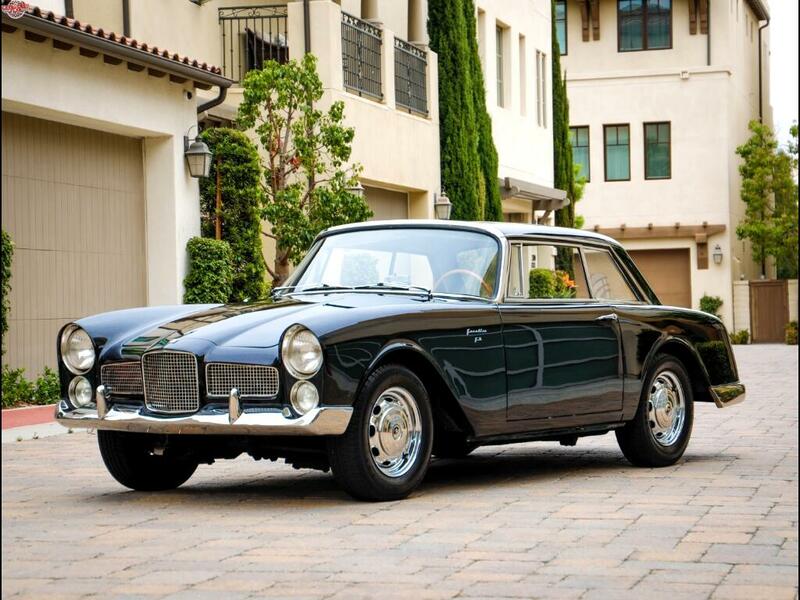 Chequered Flag International is pleased to offer this 1962 Facel Vega Facellia F2 Coupe in Black with Black interior. 45,750 miles. One of 80 built and one of 20 US models originally powered by a Pont-a-Mousson 1.6 liter twin cam 4 cylinder. Inadequate cam shaft bearings made failures common place and eventually put Facel out of business. This car's engine failed in '02 with $43k on and was replaced with a Volvo B20 engine and matching 4 speed, O/D. Facel Vega themselves switched to a B18 Volvo shortly after this car was made which is why this engine looks at home is the engine bay. Great body and paint, excellent interior. Very nice mechanically. Correct Radiomatic radio is included. Inspections encouraged. All sales AS-IS. Sales tax and license fees due if delivered in California. Message: Thought you might be interested in this 1962 Facel Vega Facellia F2.